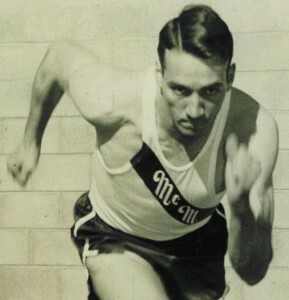 Land of Hawley unofficially broke or tied the 100-yard dash world record seven times during his track career. After earning all-American honors at Cisco Junior College, he ran track at McMurry and is a member of that school’s Hall of Fame. He qualified for the 1960 Olympic Trials in the 100, 200, and long jump, but pulled a hamstring muscle at the NAIA meet and was unable to attend the Trials. Land was listed in Track and Field News all three years at McMurry as one of the top 10 times in the world in the 100-meter dash.